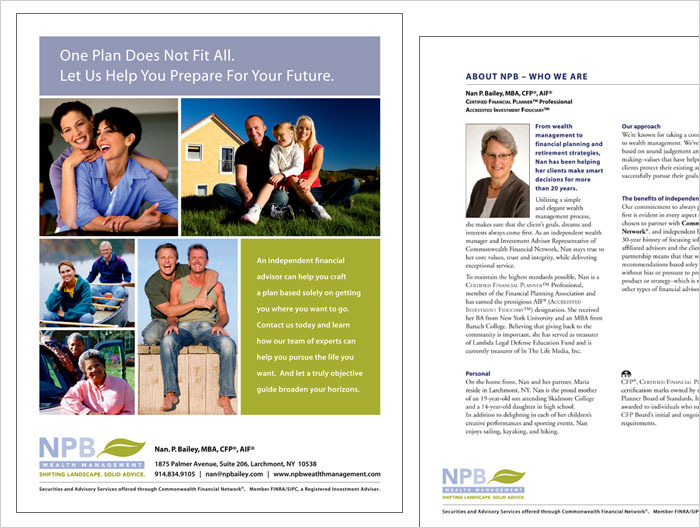 Nan Bailey is the owner of NPB Wealth Management, a financial advising company that works with high net worth clients. She came to Padraic to have us update her brand and create a more sophisticated and approachable identity. Nan’s initials were used along with a leaf to represent growth. 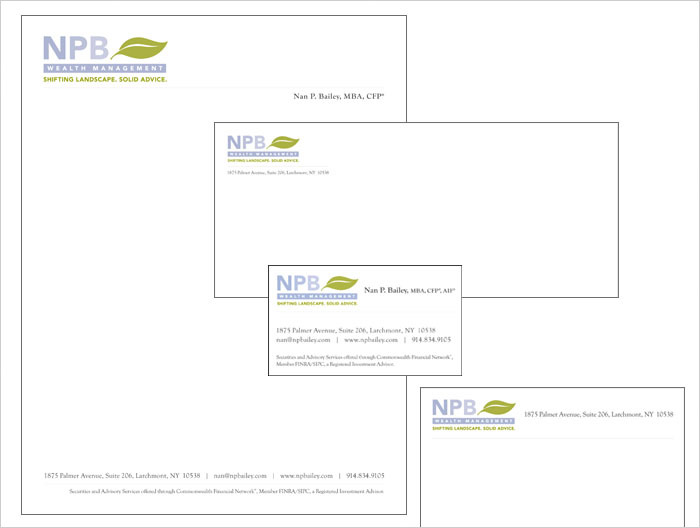 The new logo was used on her stationery, brochure, e-blasts, and website. Nan’s logo won a Graphic Design USA award for logo design.